Silicon Valley Dentist Wendy Lu. World Class Smiles. Dr. Wendy Lu and her staff at Lifetime dental Care would like to welcome everyone to our practice for dental treatment. Our highly skilled and caring team is committed to provide a very comfortable and satisfactory service to every patient. Establishing a rewarding and lasting relationship with patients is our top priority. We pledge excellence in our dental service and assure a positive memorable experience for every patient, your entire family, from toddlers, young children to your elderly parents and grandparents. Our mission is to become the dental care service provider of your choice by helping our patients to attain the optimal dental health. We maintain comfortable and friendly atmosphere, use state-of-the-art technology and the finest products available, and provide all the information you need to make the best choice for your smile! 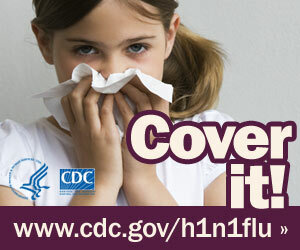 Visit www.cdc.gov/h1n1 for more information. Dr Wendy C Lu is dedicated to excellence in general and cosmetic dentistry located in San Jose, California. San Jose dentist Wendy Lu specializes in cosmetic and restorative dentistry such as teeth whitening, crowns, fixed bridges, root canal therapy and porcelain veneers.